Uganda, like many African countries in the 1990s, adopted decentralisation as a state reform measure after many years of civil strife and political conflicts, by transferring powers and functions to district councils. The decision to transfer powers and functions to district councils was, in the main, linked to the quest for democracy and development within the broader context of the nation state. This book’s broader aim is to examine whether the legal and policy framework of decentralisation produces a system of governance that better serves the greater objectives of local democracy, local development and accommodation of ethnicity. Specifically, the book pursues one main aim: to examine whether indeed the existing legal framework ensures the smooth devolution process that is needed for decentralised governance to succeed. In so doing, the book seeks, overall, to offer lessons that are critically important not only for Uganda but any other developing nation that has adopted decentralisation as a state-restructuring strategy. 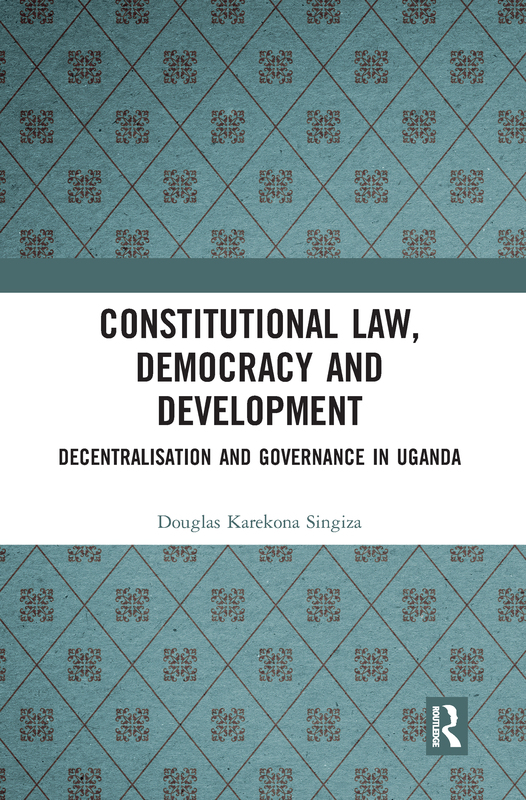 The book uses a desk-top research method by reviewing Uganda’s decentralisation legal and policy frameworks.